Introducing our Activ Movement Therapy (IASTM) Seminar. Excited to bring the new installation of IASTM techniques incorporated with movement therapy. The course will provide you with a more comprehensive skill set to access, treat and apply movement drills in your daily practice with patients. We will give you the tools to add to your existing toolbox, for improved patient outcomes and faster results. By the end of the day you will leave with the knowledge and confidence to use IASTM procedures in your own working environment. Providing you with movement strategies to complement your hands on techniques and procedures. Learn to apply IASTM techniques for the whole body and the importance of pressure, angle and application. Rebuild strength, structure and balance by then using loaded movement training to reintroduce functional abilities for your clientele. Implement self care drills for reinforcing movement practice and exploration back into your patients daily routine. 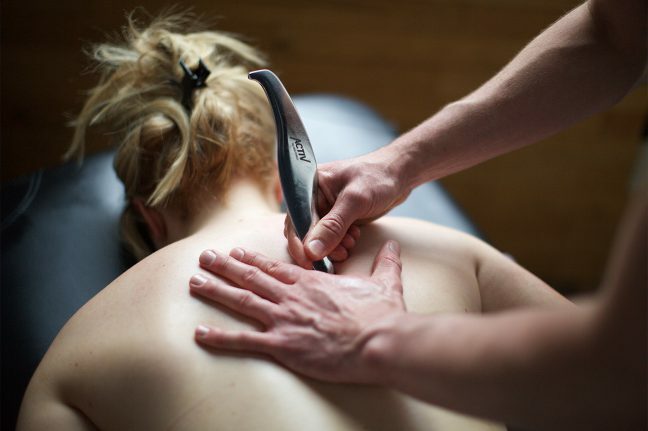 Chiropracters, Osteopaths, Physiotherapists, Sports massage therapists, Occupational therapists, Podiatrists, Performance coaches, personal trainers and any other therapists who have insurance that covers them for soft tissue work. To Book: Go to Shop on site and select course to confirm booking.